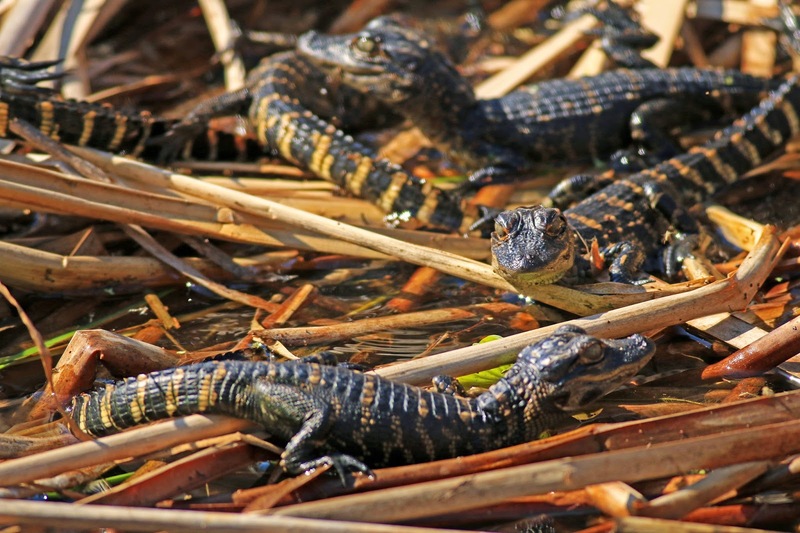 These are some of the alligator babies I found at Boyd Hill Nature Preserve. They are on the Maggiore Island Trail. When a small green heron landed on a branch above them, they scattered under the hay in the water. There are usually 25-50 eggs hatched, but I only counted 13 sunning themselves. 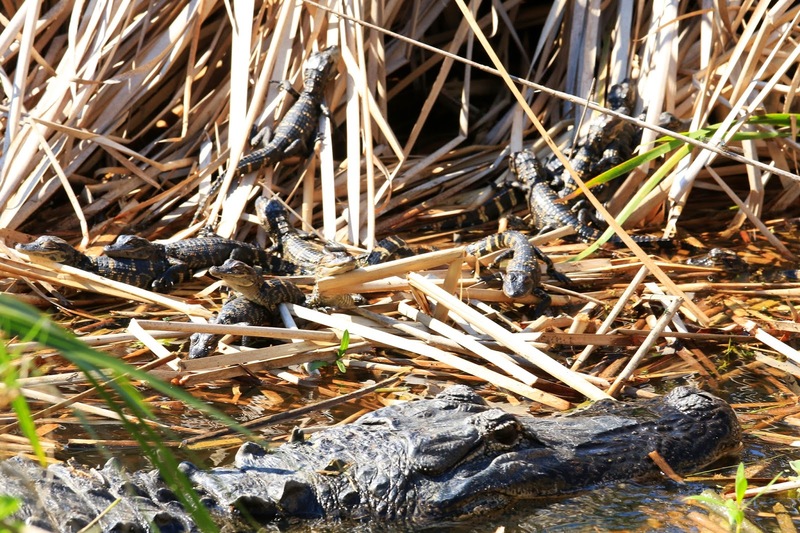 This is the mother alligator. She was quite calm when there were dozens of hikers peering at her. I only heard her grunt once at a couple of men. Luckily the babies are in the water and it is impossible to get between them and the mother. They are quite close to the trail, right past the bridge. I stayed about 6 feet away, but others did not. 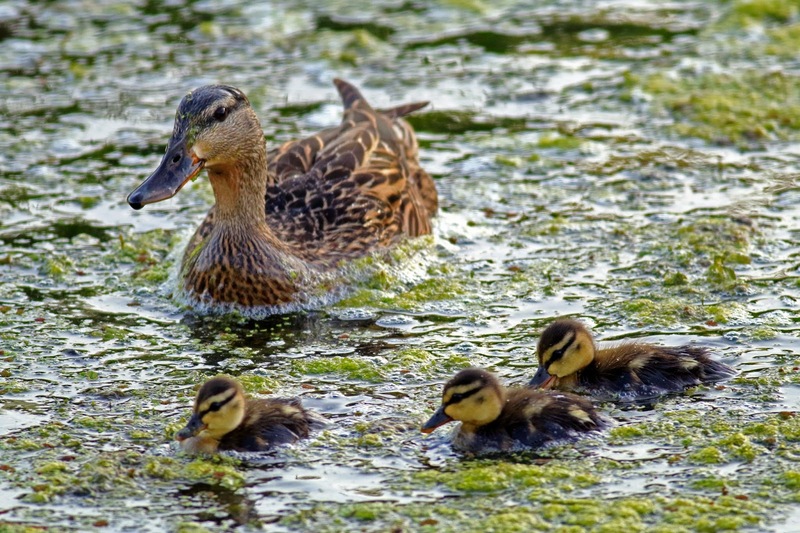 The mallard and ducklings are at Largo Central Nature Preserve. This mother has 7 ducklings. I observed one duckling with a piece of white folded paper in his mouth. The other ducklings were chasing him and he seemed to be enjoying the fun. 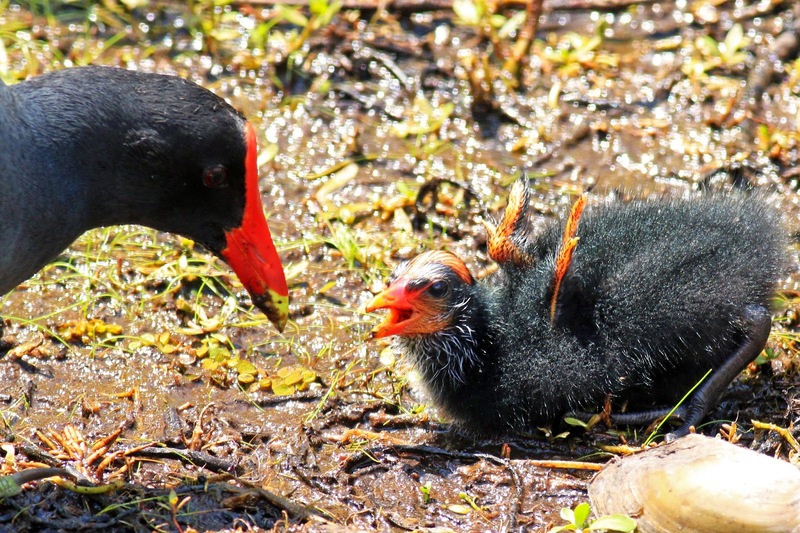 This is a mother moorehen feeding her duckling. Seven ducklings hatched last week at Largo Central Nature Preserve. This was several days later when they were coaxed a little ways from their nest. I watched both the male and female gathering small pieces of plants and feeding each of their brood. The duckling above seemed to be the runt of the litter, but he was also the most demanding, chasing his mother to get his food and loudly cheeping. 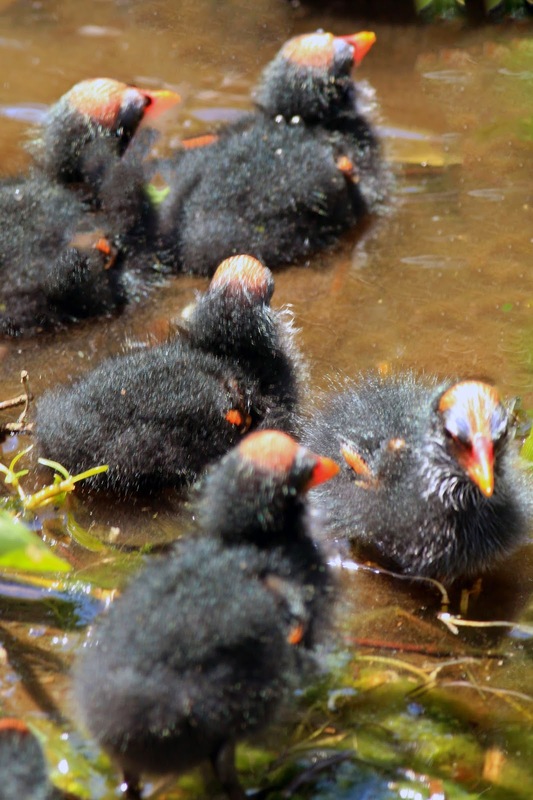 The ducklings are black and fuzzy. They are funny looking like bald headed monks with the barest hint of red wings and black legs.